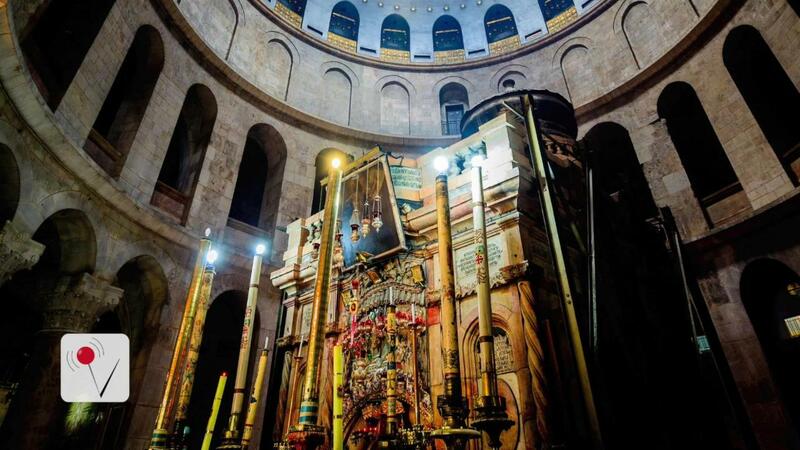 After more than 200 years, the Holy Sepulcher in Jeruselum is set to be renovated. It is believed by Christians to be the burial site of Jesus. Despite their differing opinions, the rivalry between the Greek Orthodox, Roman Catholic and Armenian churches has been set aside in order to begin the repairs. The work will be primarily focused on the Edicule, which is the ancient chamber standing above the area where Jesus's body is believed to have been anointed, wrapped in cloth and buried before his resurrection. The scientific coordinator for the repair project said the tomb was stable, but after many years of water exposure, humidity and candle smoke, it has begun to warp. The church, one of the world's oldest, was built in 325 A.D. by the Roman Emperor Constantine. It is considered to be one of the holiest shrines for Christians. The renovations are expected to take between eight to 12 months to complete. The work will be done in the early mornings and late nights, allowing tourists and pilgrims to continue visiting the site. The entire project is expected to cost more than $3 million and will be funded by each church.